According to a recent survey, the most common complaint from hotel guests is noisy neighbors. The second most common? Filth. After all, when you go on vacation, you expect to be pampered, comfortable, and relaxed. 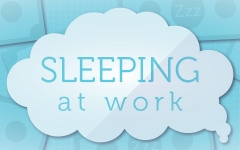 At the very least, you want a clean, safe place to rest your head at night. You want to know the fire alarms work and the bedding has been changed for you, that there are no creepy crawlies heading your way in the dark, and that the hotel does everything it can to make sure you and your family are safe while you stay. Which got us to wondering … how clean, safe, and regulation-abiding are hotels, really? Do star ratings matter when it comes to safety and well-being? What about price? Which hotels are the most likely to meet inspection standards … and which are falling way short? We inspected the inspection results from over 3,000 hotels to find out. Ready for a shocking result? 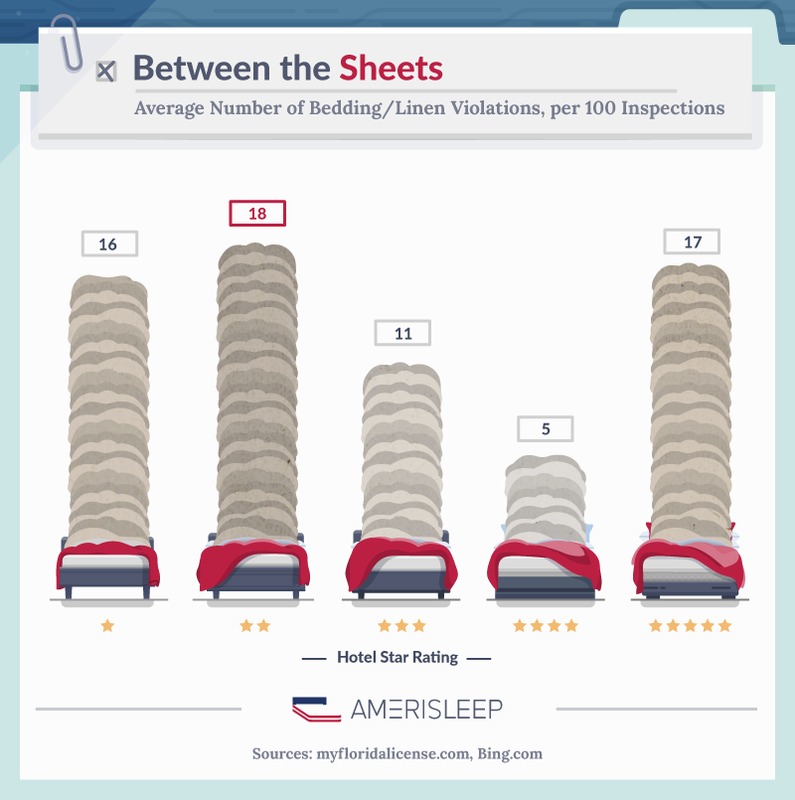 When it comes to bedding and linens, five-star hotels had over three times as many violations as their four-star counterparts. 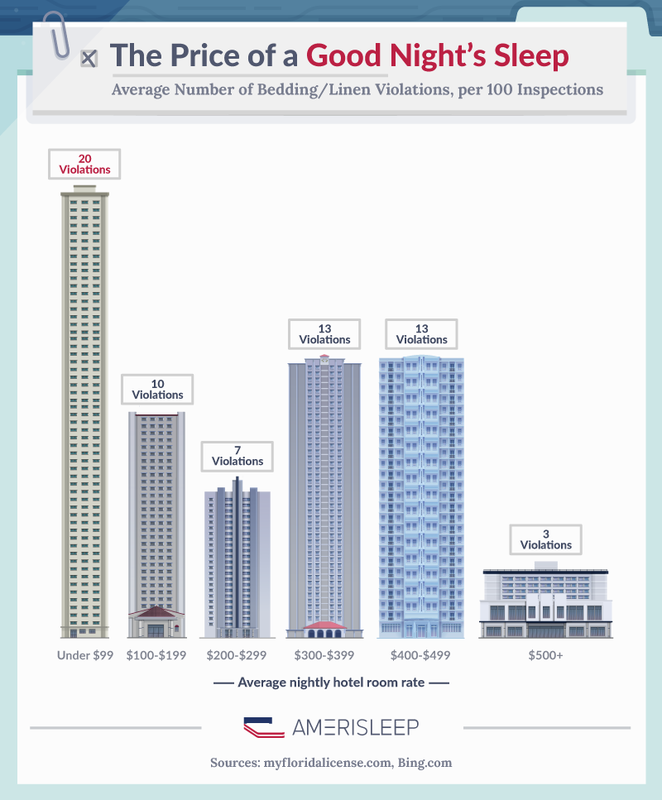 In fact, five-star hotels also had more violations than one-star hotels. And of all the hotels on our list, four-star spots had the cleanest linens by far. Other studies have also found that five-star spots are dirtier than more budget-friendly options. Stars may not be an accurate reflection of how clean the bedding is, but, as it turns out, price is a pretty good indicator. 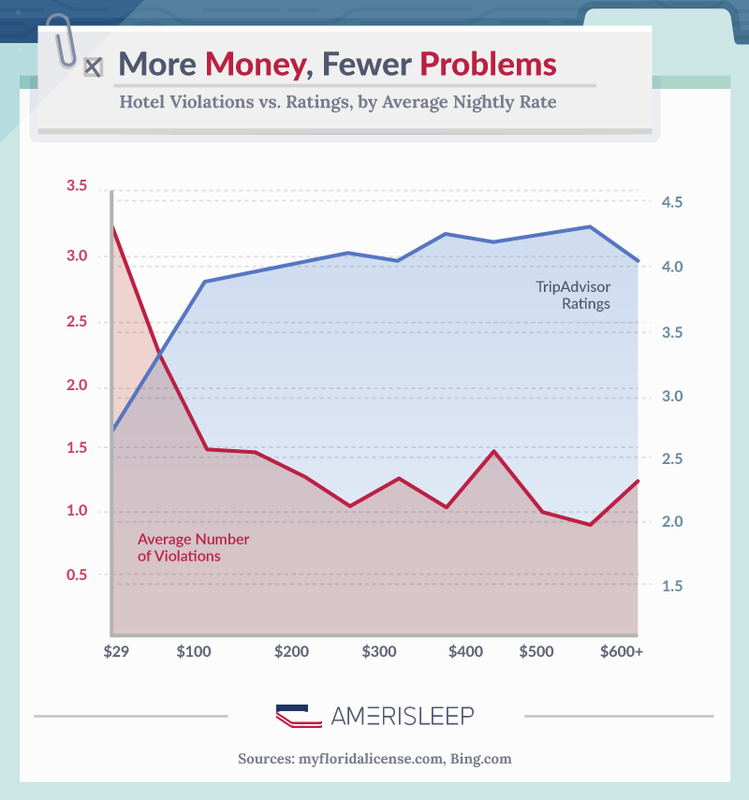 Hotels under $99 per night had almost twice as many violations as any other group. The $500+-per-night category, on the other hand, had less than half the violations of any other category — and more than six times fewer violations than the budget group. When we turned to the web for guidance, TripAdvisor ratings were also a pretty good indicator of fewer violations. As TripAdvisor ratings go up, violation numbers generally go down. According to one piece of research, 88 percent of customers trust online reviews as much as personal recommendations. The research above seems to indicate that that’s a good move. 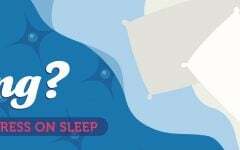 The chance to get a good night’s sleep may be the most important feature of a good hotel (after all, sleep is one of the most important factors when it comes to health), but bedding violations definitely weren’t the only — or even the most common — violation we found. The top violation found at five-star hotels, happily, wasn’t a hygiene-related one. It was a failure to post telephone surcharges. Four- and three-star hotels, on the other hand, had a lot of garbage issues. And one- and two-star properties tended to need building repairs. Dirty bed sheets are pretty off-putting, but what about the other hotel horror stories we’ve all heard before? The cockroaches, smells, blood stains, and dirty dishes? Unfortunately, even high-ranking properties had their fair share of problems, according to the data. When it comes to four- and five-star properties, it may be time to skip the room service, as unsanitary kitchenware was one of their most common violations. Another issue — which may or may not affect guests directly — was improperly disposed garbage. On the other side of the spectrum, one- and two-star properties had a much higher percentage of vermin control problems than their luxury counterparts, and housekeeping issues ran high as well. 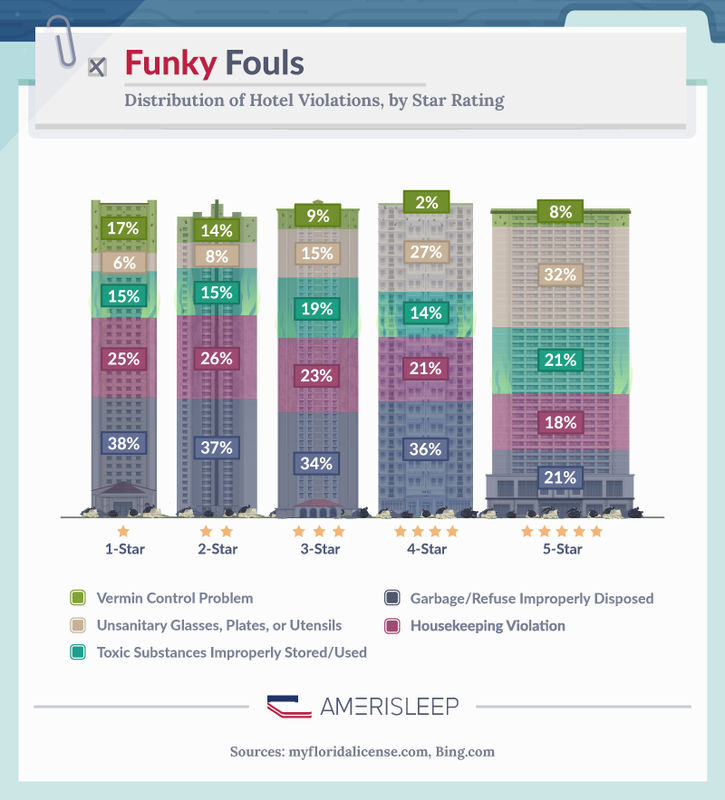 Based on percentages alone, it may look like four- and five-star properties aren’t doing so great with hygiene and safety issues. But are those properties violating hotel inspection standards as often as one- and two-star places? As you may have guessed, higher-star-rated properties had fewer instances of violations (though the difference wasn’t always as large as we’d like or expect). Where a two-star property had 0.18 bedding violations per inspection, a five-star property had 0.17. 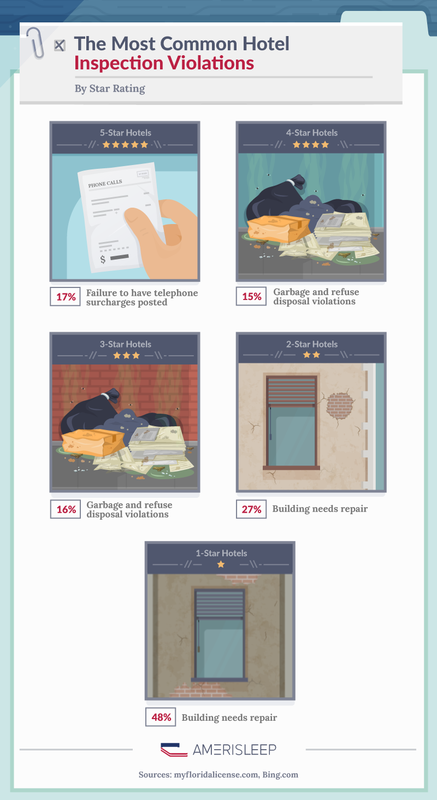 Garbage disposal violations were at 0.15 per inspection for four-star properties, 0.16 per inspection for three-star hotels, and 0.26 per inspection for two-star spaces — which means that we’re around twice as likely to encounter this issue in a two-star hotel than in a four-star hotel, as you might expect. More alarming, however, were the numbers on fire safety. 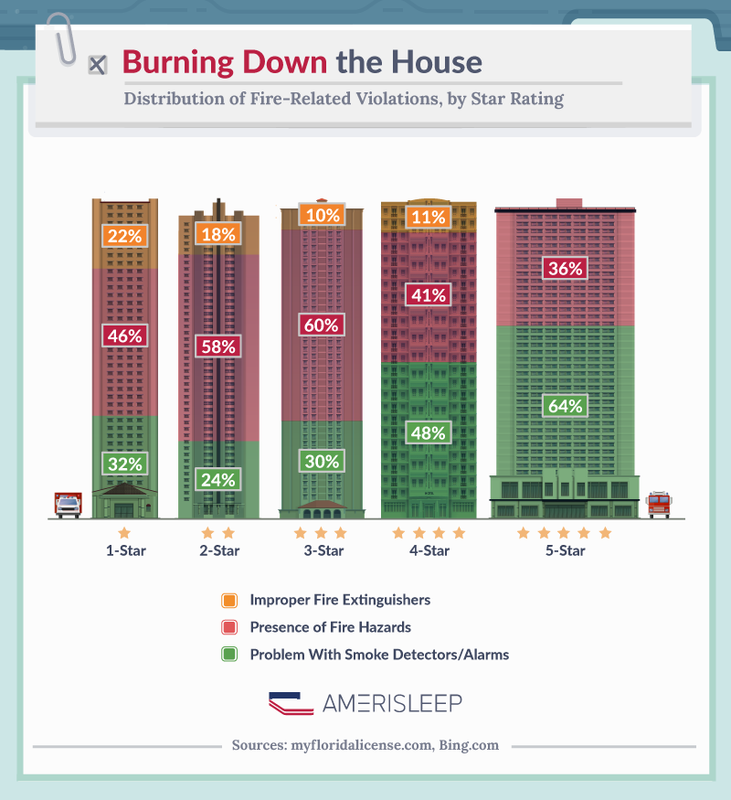 Five-star properties had 0.13 violations per inspection for smoke detectors or fire alarms and 0.12 for smoke detectors for the hearing impaired — a worse ranking than four-star hotels (with 0.10 violations for hearing impaired smoke detectors) and three-star hotels (with 0.12 for fire hazards). Gross as they may be, many hotel hygiene violations aren’t life-threatening for guests. Unfortunately, fire violations can be. We dug a little deeper into the data and found that the higher-rated properties were less likely to have issues with their fire extinguishers, but fire hazards and smoke detector issues impacted every star range and, as you see above, fire alarm and smoke detector issues were actually more likely in five-star than in four- and three-star properties. How Gross is Your Hotel? We were surprised to learn that star ratings weren’t necessarily good indicators of cleanliness or safety, but price and customer reviews generally were. In general, the more you can budget for a good hotel, the safer you’ll be from issues like fire hazards and unsafe balconies to sanitary issues like dirty dishes and unchanged bed sheets. Of course, if you’d rather not roll the dice on the cleanliness of your sheets and mattress, staying at home is always an option. 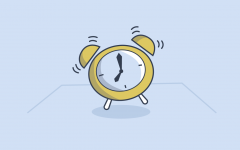 We’ll help you find the right mattress to rest easy. 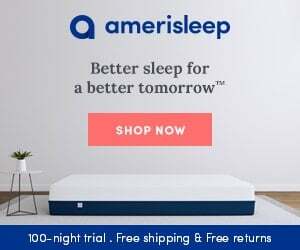 We always recommend our AS2 mattress for back and stomach sleepers. We analyzed over 8,000 publicly available inspection reports from over 3,400 hotels, motels, and inns in Florida from 2015 to 2016. Hotel star ratings, average nightly room rates, and TripAdvisor ratings were sourced via a Bing search. For grouping, we used the average room rate from Bing and created $100 increments. Groupings were adjusted when necessary to ensure statistically valid sample sizes. It’s not a violation to use the images from this page in your publication, we just ask that you link back to this page to give the authors proper credit.